1. Salem, MA – This has become the #1 Halloween destination in the U.S. over the last couple of years and with the city’s history it isn’t surprising! The city goes all out for Halloween, decorating with witches and other spooky symbols, while occult stores are packed to the gills with eager tourists and locals alike looking for kitschy Halloween/Salem Witch Trial items. I imagine that the East Coast's fall foliage that lines the city’s cobblestone streets would also be quite fetching in October! 2. New Orleans, LA – A city packed with haunting history, including stories of voodoo, ghosts, vampires, zombies and pretty much anything else that goes bump in the night. 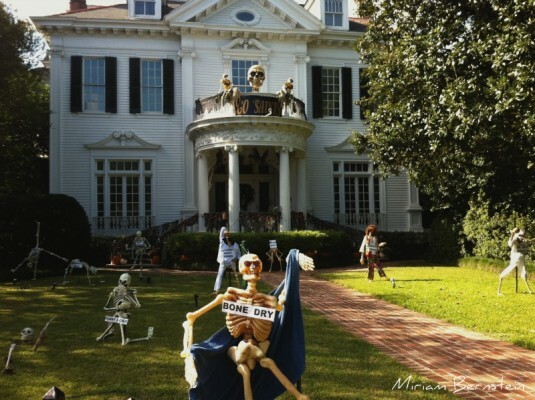 Strolling its moonlit streets and imagining spooks cavorting in its antebellum mansions and cemetery crypts sounds like a perfect Halloween night. And, of course, joining the costumed revelers on Bourbon Street would make for quite an unforgettable Halloween night as well. 3. Ireland – The country that started it all with trick 'r treating and celebrating Samhain. A beautiful country, I would definitely want to head out on the moors and look for some fairy folk or the Lord of Death himself on Halloween! 4. 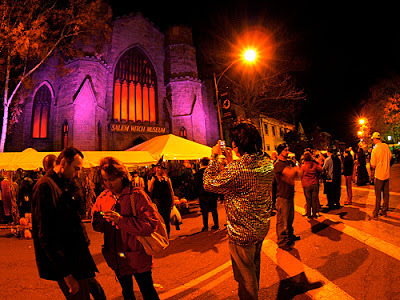 Anoka, Minnesota – I know, you’re probably thinking “where?”, but let me explain…Anoka is considered the Halloween Capital of the World and is believed to be the first town in the United States to put on a real Halloween celebration. Its October is filled with parades, costumes, pumpkins and everything else Halloween-y! How could I not want to go to the US birthplace of our modern Halloween? 5. Mexico – I would love to hole up in a small Mexican town from October 31st to November 2nd to take part in the Dia de Los Muertos celebrations. 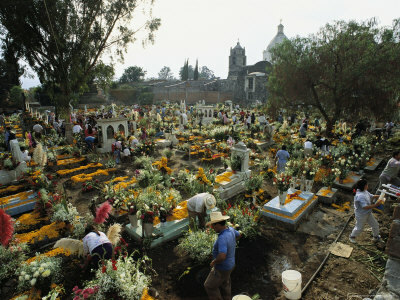 I would buy some sugar skulls, paint myself like a skeleton and buy marigolds to place on gravestones. Where would you want to visit for Halloween? Awesome post! My Halloween favorites are Salem and Ireland. I've been to Salem in October a few times. Lots of fun! The others are still on my "bucket list". I live an hour from Anoka, and have been there many times, but I've never heard that Halloween Capital thing before! I'm gonna have to look into that! Oh man. Have to add these to my bucket list! That surprises me about Anoka - which makes it all the more intriguing!